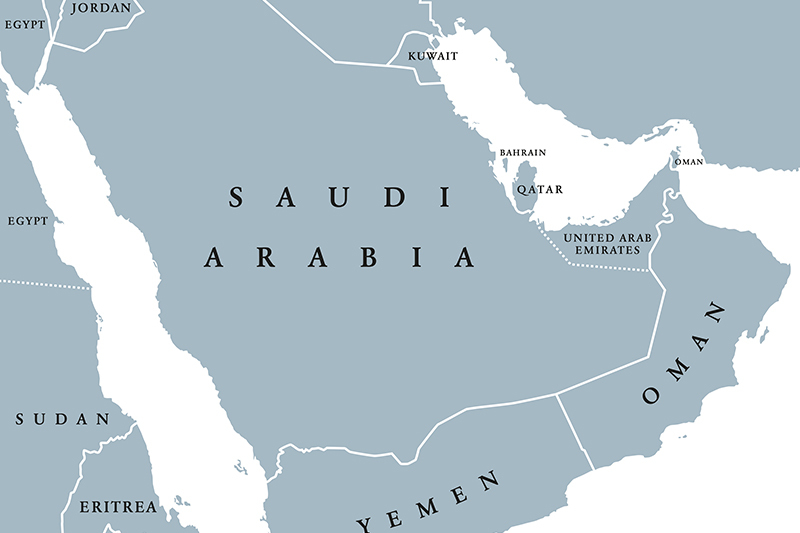 The Gulf Cooperation Council (GCC) is a political and economic organisation consisting of six Middle Eastern countries – United Arab Emirates (UAE), Kuwait, Bahrain, Saudi Arabia, Qatar, Bahrain, and Oman. An invitation has also been extended to Jordan and Morocco to join at a future date. Established in Abu Dhabi in 1981, the objective of the GCC is to achieve a closer union between its members. Members share common objectives and similar political and cultural identities. Geographically the GCC states are located on the beautiful Persian Gulf and enjoy a rich heritage and culture. Presidency of the Council is rotated annually. Arabic is the official language though English is also commonly spoken by most GCC nationals. The main religion of the region is Islam.